Whether you’re missing one tooth or need major dental work to restore your entire smile, there are a number of options your Pawleys Island dentist will consider. For those suffering from missing teeth along the Grand Strand, dental implants Georgetown are one of the most effective ways to restore a natural-looking smile. Replacing missing teeth may be a planned event, but if an emergency dentist is needed, dental implants can also be considered. Let’s take a look at dental implants Georgetown benefits, as well as other ways missing teeth can be replaced. Dental implants look and feel like real teeth. An accident, poor dental care, or teeth extractions may cause you to need an implant procedure. One of the major benefits of dental implants is they most closely resemble your natural teeth. From how they look and feel to how the implant is positioned in your mouth and promotes bone structure, dental implants Georgetown procedures can help you feel like your old self again. The procedure for dental implants is a little longer than other teeth replacement options, but for most patients, the time and investment is well worth the benefits. Step 1: The titanium post (which acts as the tooth root) is implanted in the jawbone. The healing time, typically two to four months, allows the post to integrate with your bone. Step 2: An abutment is placed through the gum line, bridging the titanium post and the crown together. In some cases, this step can be completed with the post is implanted. Step 3: Once your gums heal, the crown can be placed on top of the abutment to complete the dental implant Georgetown procedure. The structure of dental implants means you don’t have to have a bridge or any type of wiring to keep the new teeth in place. After your teeth extractions, the implant procedure and healing is complete, routine dental visits should keep the implants healthy for decades. What To Do With A Broken Tooth? Depending on the severity of your broken tooth, you may need to visit an emergency dentist. Several options are possible in treating a broken tooth. If a tooth or teeth extractions are needed, you may be a good candidate for a dental bridge. A dental bridge differs from dental implants Georgetown options in that it connects to other neighboring teeth to hold itself in place. Two or more crowns are created and fused by metal or ceramics. The bridge can be supported by dental implants or natural teeth. Another option to remedy missing teeth is dentures. Dentures are false teeth and can be created to restore areas of missing teeth or a complete upper or lower set of teeth. Traditional dentures are removable and must be placed in the mouth with an adhesive or by clasping onto implants or natural teeth. 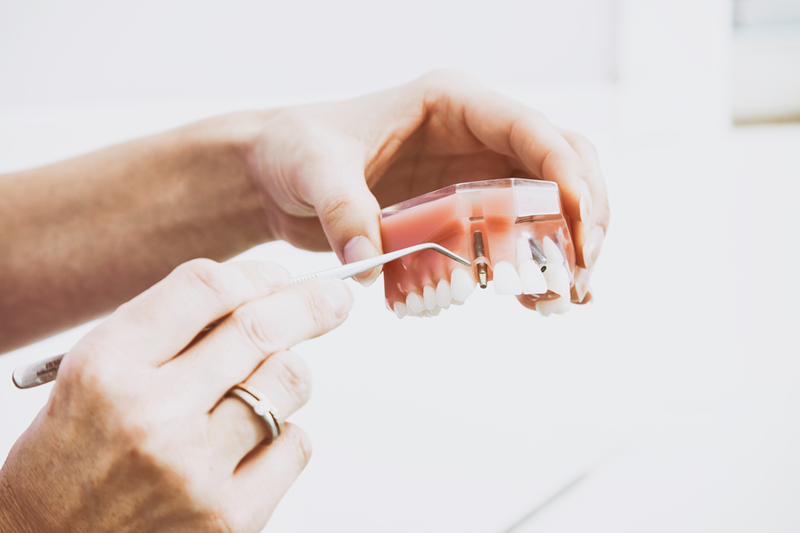 There are a number of options available from your Pawleys Island dentist when it comes to replacing missing teeth.Choose from dental implants Georgetown procedures, or speak with your Pawleys Island dentist about a dental bridge or dentures. Restoring your smile will help you better enjoy food, talking and expressing yourself once again. Copyright © 2018 Rinehart Dentistry. All right reserved.